Daphne Kapsali. Author of 100 days of solitude. Helen arrives in London with a head full of British pop and rock music, and free of the preconceptions that would hold her back from fitting in. Or so she thinks, until she gets trapped inside a song. 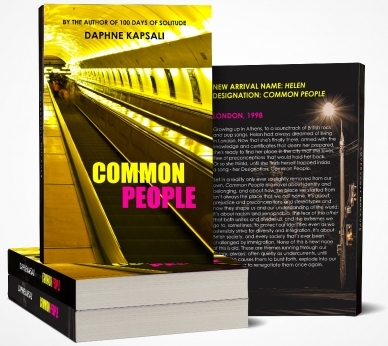 Set in the late 90s, in a reality ever so slightly removed from our own, where New Arrivals to the UK are issued with a "Designation" and a "Prescription" that dictate their place and conduct within British society, Common People explores issues of immigration, integration and adaptation, racism and xenophonia, the preconceptions and stereotypes that hold us back - whether we're aware of it or not - and the ever-present quest for identity and belonging, wherever we choose to make our home. 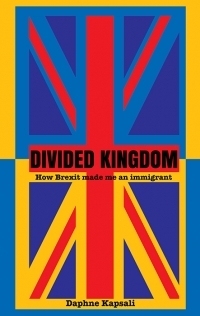 Four essays on Brexit and its implications, from the point of view of a UK resident and EU citizen. Available on Amazon in paperback and on Kindle. FREE: Email me for a free digital copy. 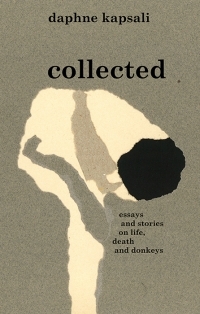 A collection of short stories and essays on life, death and donkeys, linked together by the theme of identity. "You can expect to fall in love with this book." A personal journey that inadvertently became an alternative self-help guide to doing what you love and living as your true self - whoever that might turn out to be, 100 days of solitude is inspiring hundreds of people to seek out and claim the space they need to find themselves and live the life they want. "I recommend this book to anyone standing at a crossroads. Anyone who is close to giving up on their dreams. Anyone caught up in this rat race we call "life" and anyone who has ever spent any time soul-searching. That's everyone, right?" "If anyone was ever in doubt about taking that leap of faith and becoming the person their heart is telling them to be, then they should read this book." There are certain things that time cannot touch. Very few. Metal it turns to rust and bones to dust and the souls of those we've loved into ghosts and memories. Ancient temples fall to ruin and gods fall from grace, and people fall out of love and forget. Very few things can withstand the passage of time, its ruthless continuity, always moving on, always leaving moments behind, but in Anna's short lifetime there was one thing that did. Was it hubris to wrench apart what destiny had conspired to unite? Could there be atonement for such a thing? 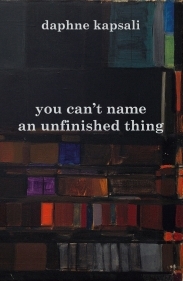 This story begins at the end of a thing that hasn't ended, and travels in orbit in the space between then and not yet, circling questions unanswered and unasked, alternative endings and futures that never came to pass, looking for a place to land. It is the story of Anna and Jack and it's a love story, because all stories are, essentially, about love and the inexplicable things we do in its name and in its absence, in its pursuit and in its wake. "It toyed with my emotions more than I thought was possible and despite having to take breaks while reading to compose myself, I already know I will be rereading it." I’m all for spiritual development. I’m all for awareness and mindfulness and loving kindness. Looking after yourself, mind, body and spirit. It would be lovely if we all spoke a little softer, if we took a little longer to think before we act. If we were all a little enlightened. The world would be a better place. Like the tote bag I carry on my shoulder proclaims: Yoga will save the world. But who will be there to remind us, gently, that we’re taking it a bit too far? When our facebook feeds are inundated by inspirational quotes and we’ve lost the ability to say things in our own words. When gluten is the devil and eating cake is tantamount to suicide. When we boast, daily, of our dietary restrictions and post snapshots of ourselves in the course of a practice that was designed to be personal. When every yoga class is an opportunity to open our hearts, to acknowledge the pain, the frustration, the sadness within, to welcome it, to go with it. When we consult spiritual healers and gurus and medicine men and forget to talk to our friends. When we ostensibly strive for balance, and fail to notice the irony of seeking it in extremes. I cannot be the only one who’s getting a bit tired of this. "Daphne crushes society's expectations of how a person should be like no one else. A talent I appreciate in any great author. If you roll your eyes at things more than an average person would, this book will be perfect for you." Writer. 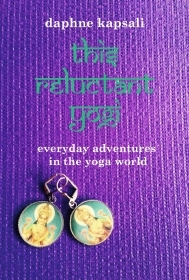 Reluctant yogi. Coffee drinker. One half on The Nerd Twins. Guru to no one. Someone's girlfriend. Pathological optimist. Author of six books. Among other things. Daphne Kapsali was born in Athens in 1978, but that was a bit of a mistake on the part of the universe, because she's actually a Londoner. She lived in that wonderful, terrible city very happily on and off since 1996, doing a variety of fun and badly-paid jobs and collecting numerous degrees, until she realised she was a writer, whereupon she promptly made herself homeless and unemployed to spend a few months living alone on a small Greek island and writing full-time. 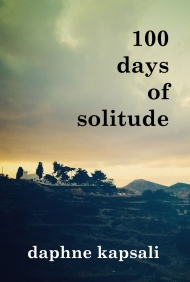 She dubbed this project 100 days of solitude and the result, one hundred separate and interconnected stories on claiming the time and space to live as your true self and do what you love, brought together under the same title, was published in March 2015. She has since published another five books, all available from Amazon. Daphne is a big fan of the law of attraction, the universe, and all things positive, and hopes her story will keep inspiring others to overcome their fears and limiting beliefs, and live a life that makes sense to them. This is my readers' list. It's fun. And totally spam-free. Sort of like beta testers, but for books. Join if you'd like to read my new work for free, and before anyone else. You'll get to make comments + stuff!